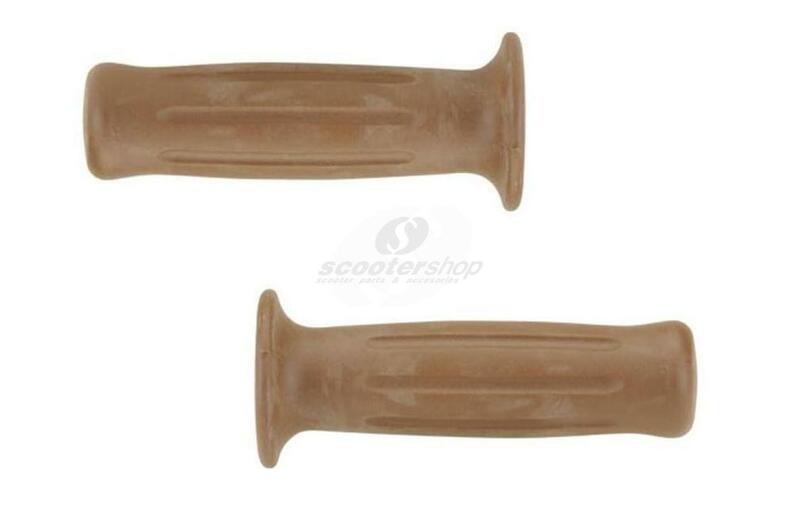 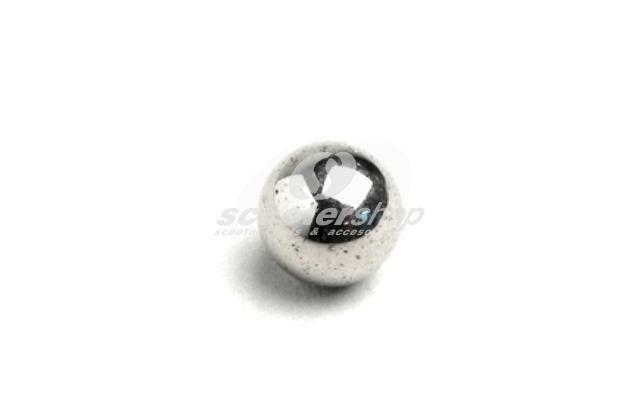 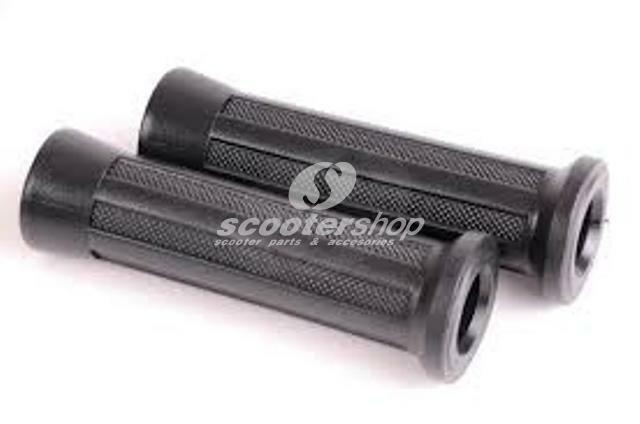 Aluminium black grips SIP Ø 24 mm and 125 mm length for Vespa Pe, Px. 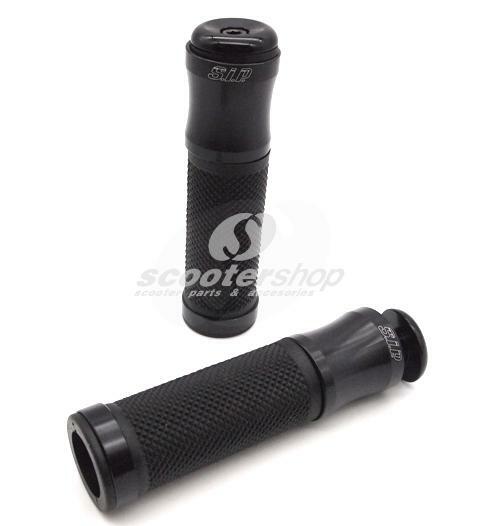 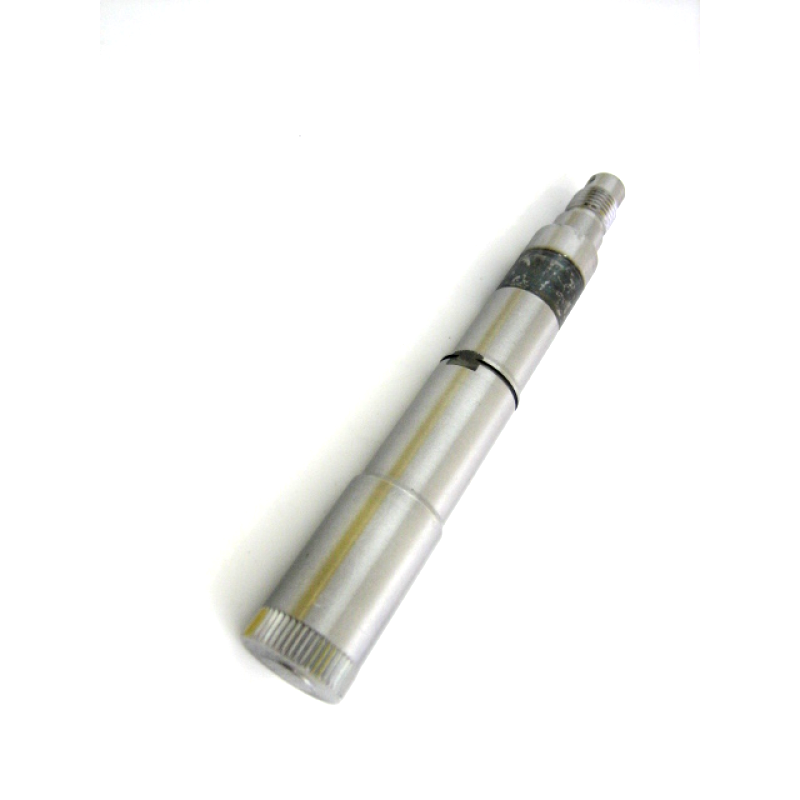 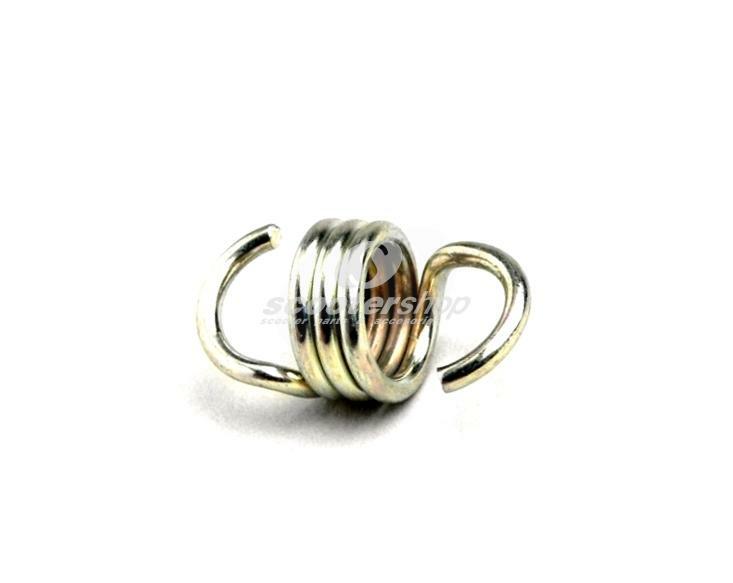 CNC machined handle-bar ends are included. 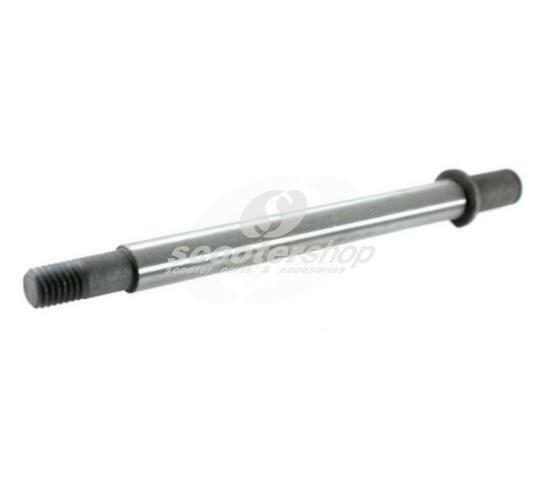 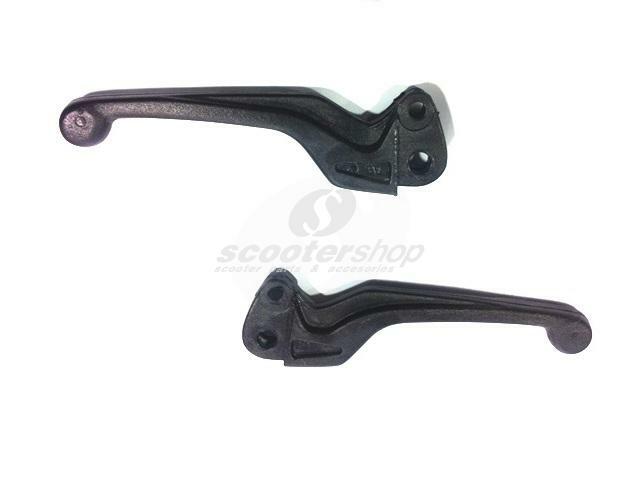 Axle and bearing suspension arm for Vespa VM, VN, VNA, VNB5 ->026920, Acma, VL, VB1, VBA, VBB2 -1>212457, GL ->067470, GS VS 1-5, bolt fixing, 12 x 107mm, bearing outer 20 mm. 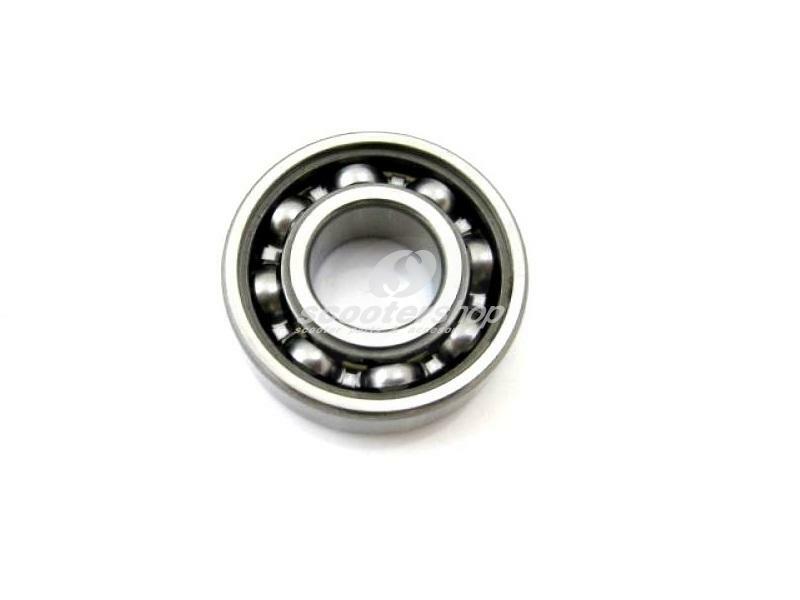 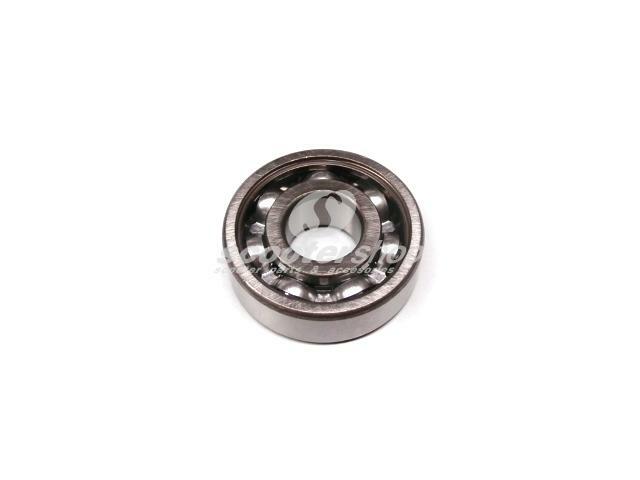 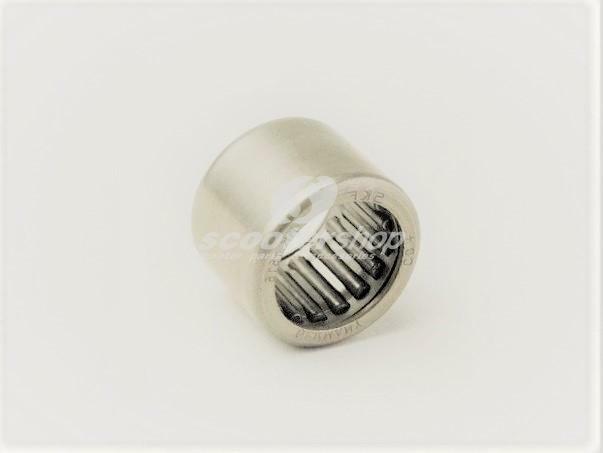 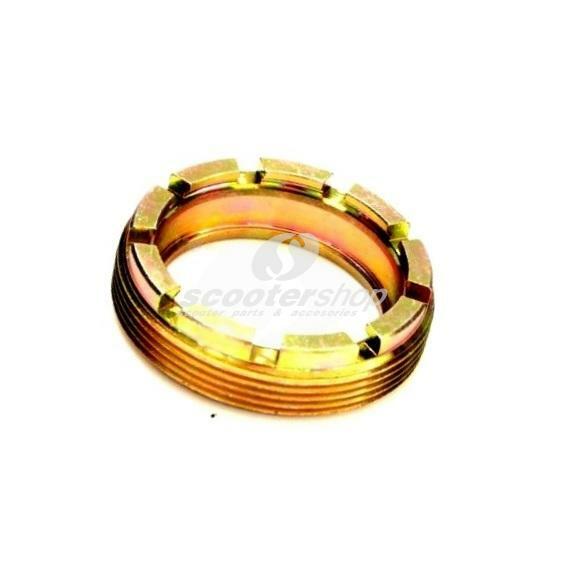 Ball steering head bearing, top, for Vespa 125 VN ,VNA ,VNB1 -3>061000 ,150 VL ,VB ,VBA ,VBB1>82819, ACMA ,VGL1, T1-4 , GS VS1-5 , 5/32" 3,968 mm , you will need 28 pieces. 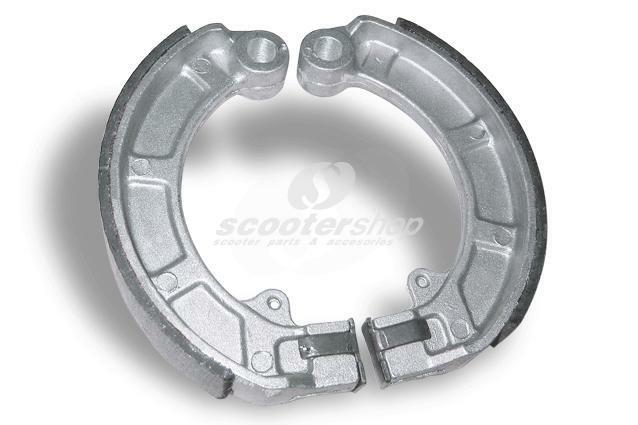 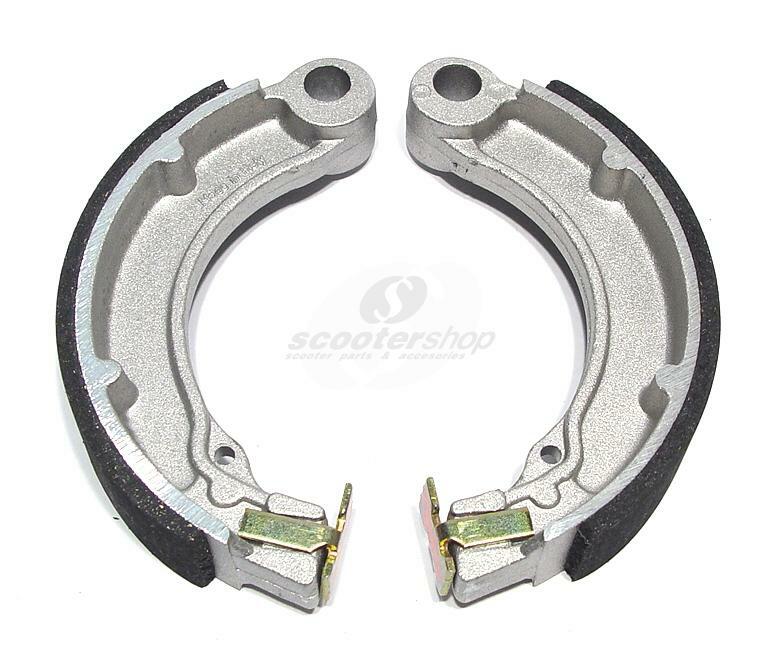 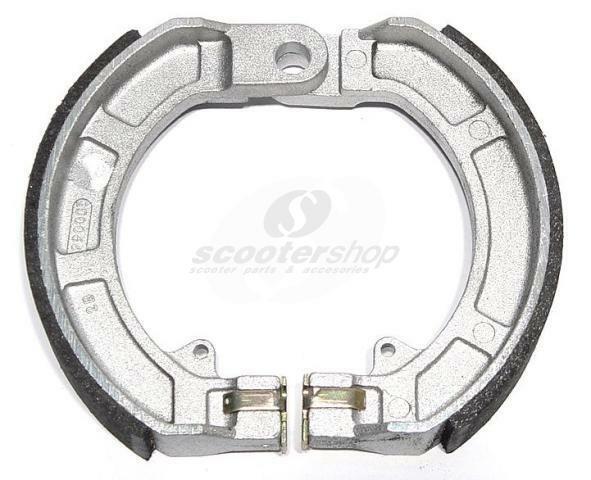 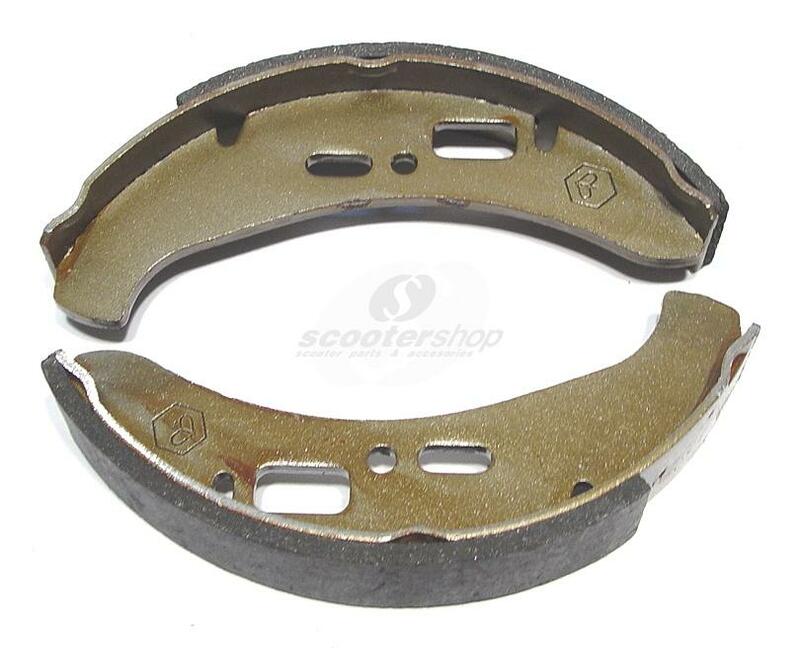 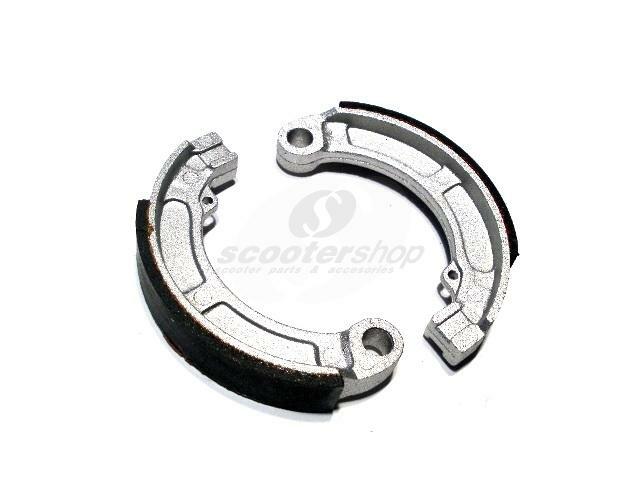 Bearing brake drum - swing outer for Vespa 50, ET3, PK50 -125, S, XL, VNA, VBB, VBA, GL, SPRINT, RALLY, TS, GT, for primary shaft (gearbox cover) for GILERA-PIAGGIO 50ccm 2-4T AC/LC, 17x40x12 mm. 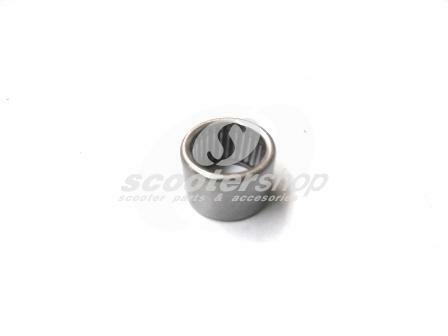 Bearing brake drum 20mm with dimensions 15x35x11mm for Vespa Pe, Px, Pk, Cosa, T5. 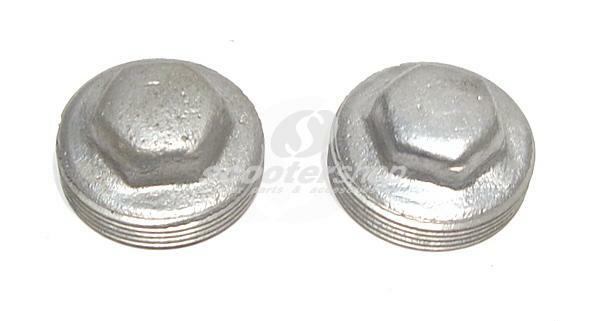 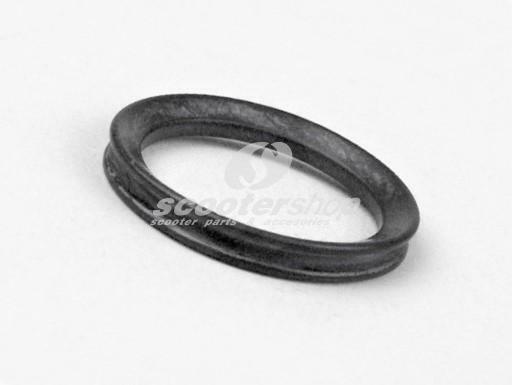 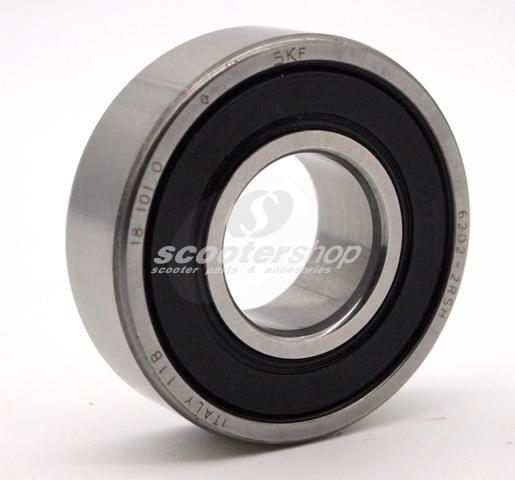 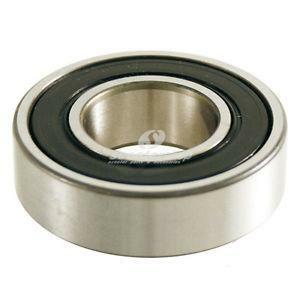 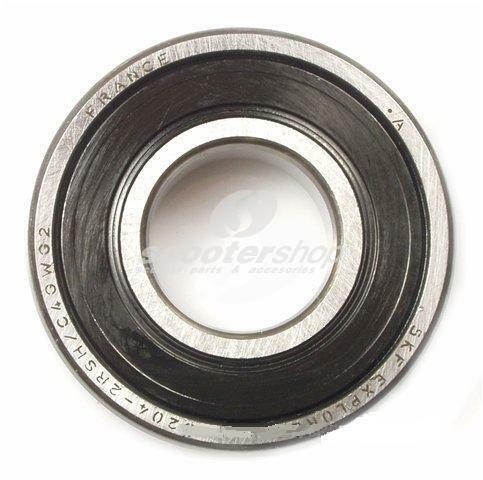 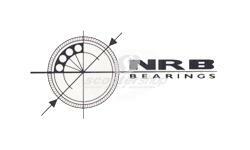 Bearing front drum 12 x 32 x 10 mm, for Vespa PX front 1978 till 1982. 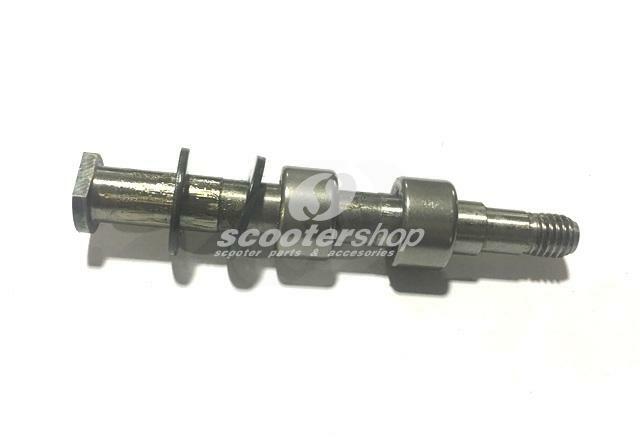 Bearing suspension arm - brake drum inside for Vespa V50, ET3, PK, VNA, VBB, VBA, GL, SPRINT, RALLY, TS, GTR 12x32x10 mm. 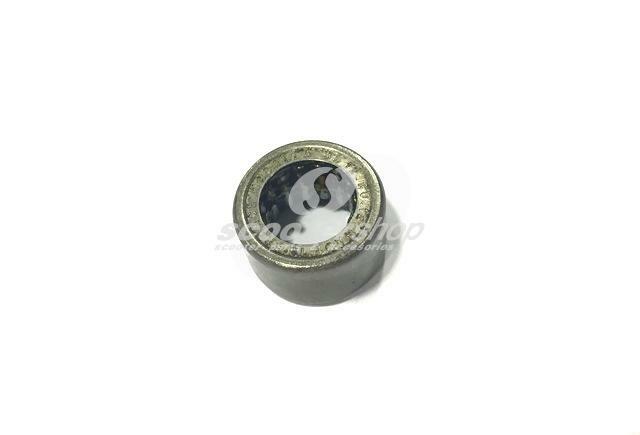 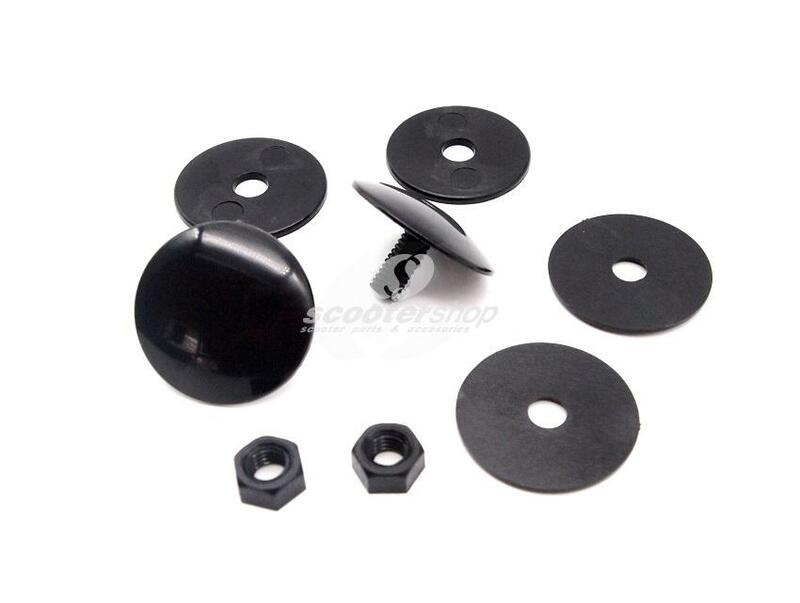 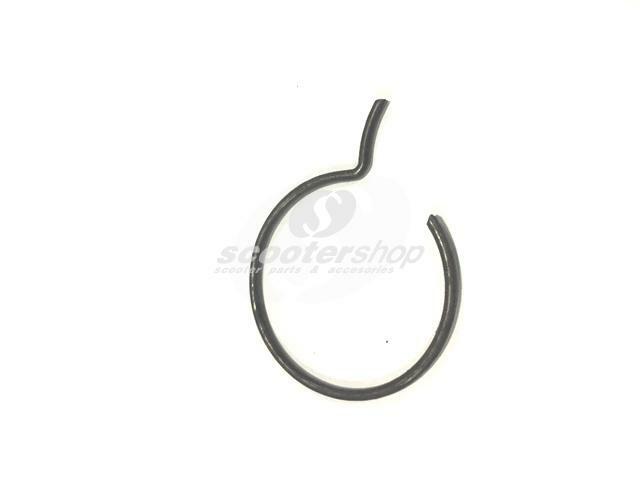 Black cover mirror hole or handle bar end with diameter Ø=30mm and M6. 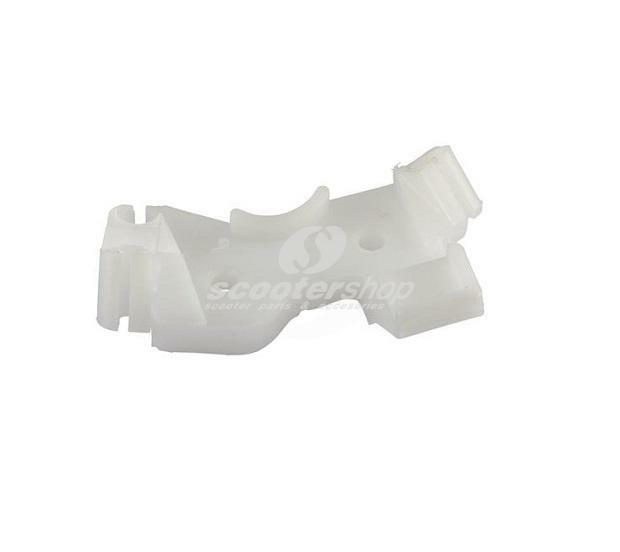 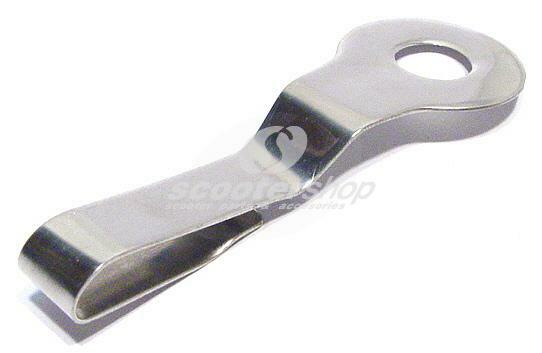 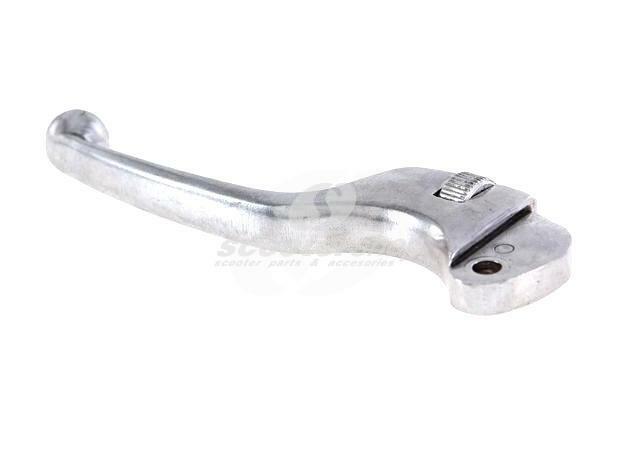 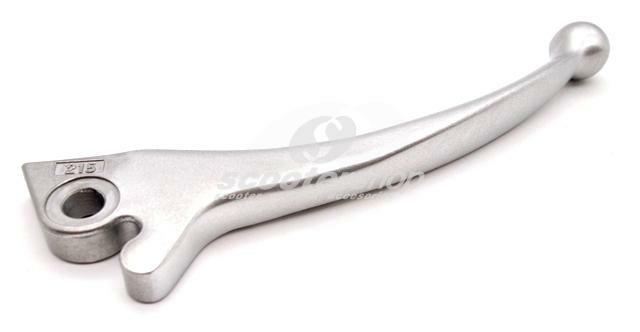 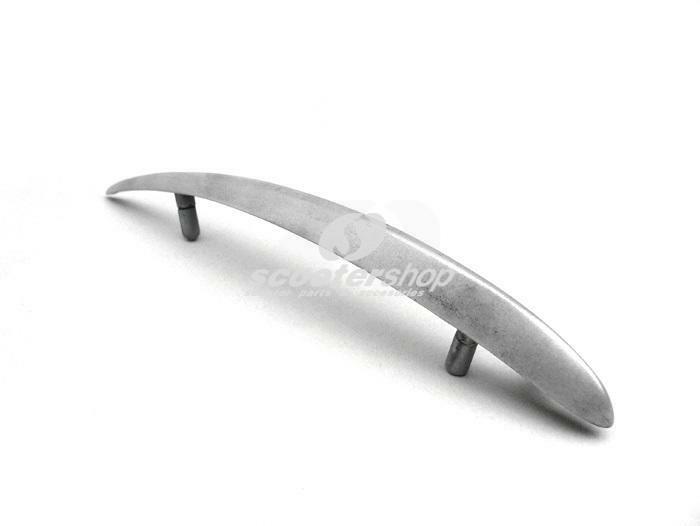 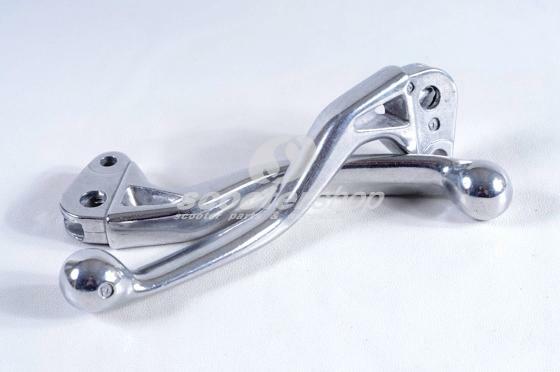 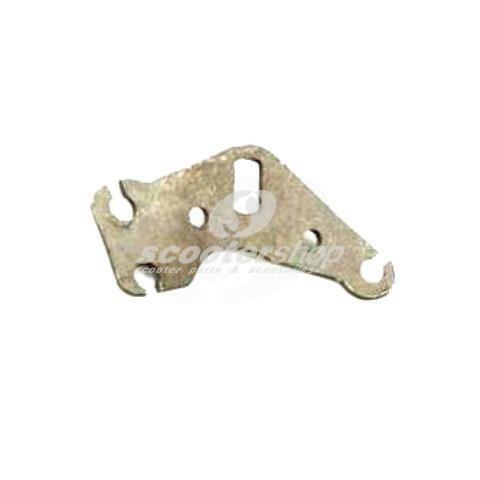 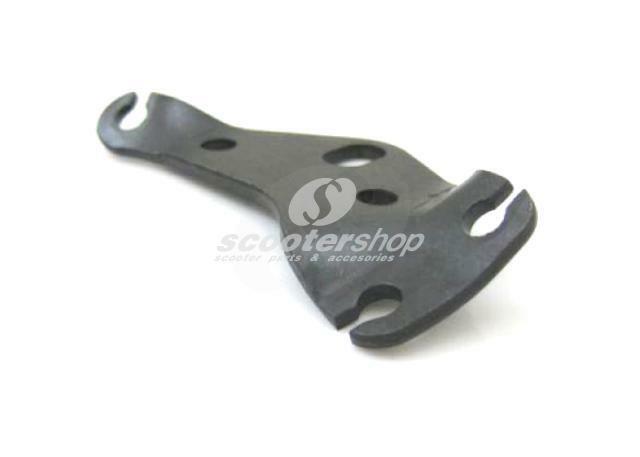 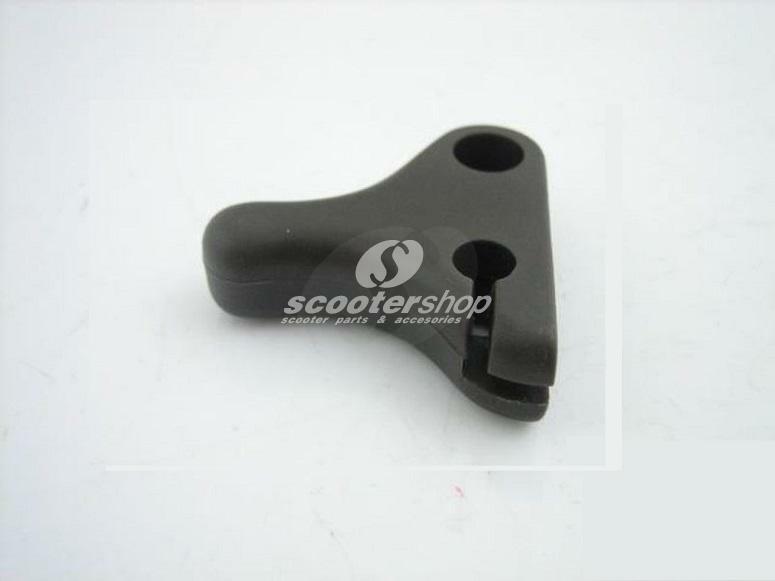 Brake lever Piaggio right for Heng Tong brake master cylinder. 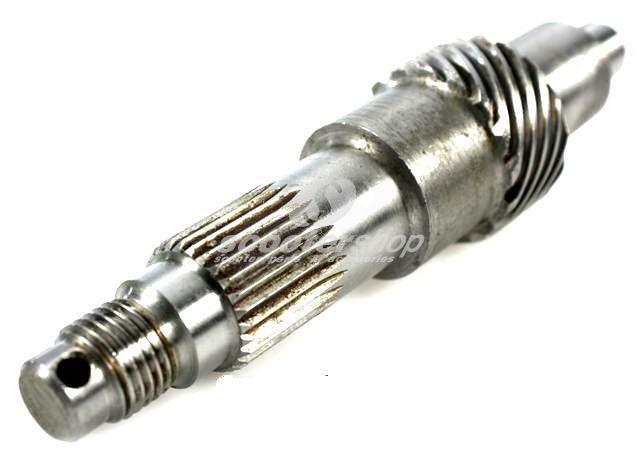 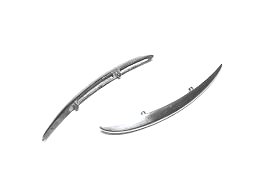 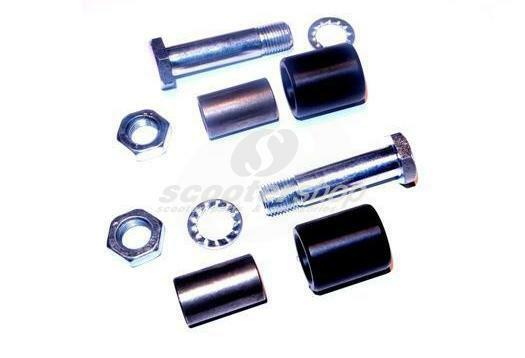 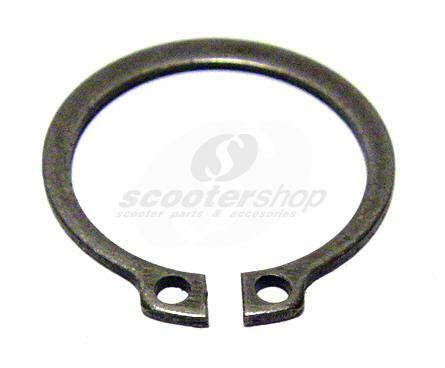 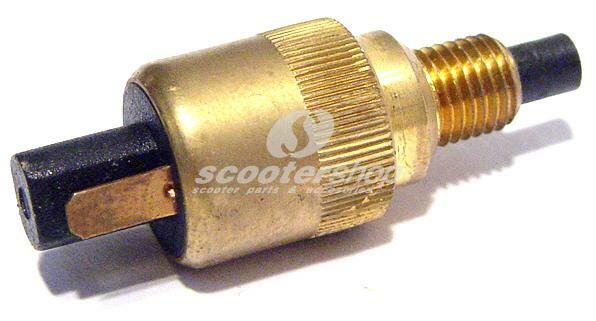 Bush and pin fork link kit for Lambretta I , II , III series , DL , GP .